Contentment doesn’t come when we have enough but, rather, when we see that what we have is enough. It’s easy to say, right? Wrap a watercolor wreath around that quote and stick it in a frame or your Instagram story. But when you put those inspirational words into practice, it’s something totally different. The holiday season is the perfect time to pause from the frantic nature of the rest of our lives and take a moment to truly live in contentment. Even when it seems there’s not a lot to be thankful for, there’s always something worthy of our gratefulness. And guess what? Contentment doesn’t mean we drop our money goals or budget hustles. (That sounds like a killer dance move.) But it might be time to do some financial refocusing. How about we think on these seven tips to being content during the holidays—and all year round! Maybe you were at the top of your game in life—great house, great car, great career—but different circumstances arose and brought you down from that height. Obsessing over the good old days does nothing but breed discontent. Don’t keep looking back on how things were. You’re in a different place now. It might be good, bad or ugly, but thinking on what you once had doesn’t make what you do have any better or brighter. Find a balance between thankfulness for today and motivation for tomorrow! Guess what? Even while you’re paying off your debt or saving for that dream vacation to Paris, you should still be giving. Why? Research shows that giving encourages contentment! Giving to others shifts the focus from self and can bring gratefulness. So get your gratefulness on by getting your giving on. 3. Stop playing the comparison game. Don’t compare your life to others. When you play the comparison game, you lose—every time. If you’re doing the day in, day out budgeting life, it may not always look as flashy on social media, but it’s real life in the best possible way. You’re in charge—not a credit card, not a car loan, and not the images on someone else’s story or feed. We like to talk about your budgeting whys: the reasons you started taking charge of your money by budgeting. These are important because they keep you motivated through the different financial challenges that will come up. If you’re in a place in life that feels like an in-between—working solidly toward a goal but living the hard part at the same time—bring your mind back to your why. Right now, you may not be where you want to be, but you’re where you’re supposed to be on the path to get to better. Find thankfulness in the moment because the moment is part of the process. 5. Appreciate your present—as you work toward your future. Don’t forget to enjoy now! Life is about the journey, not just the destination. You’ve probably seen that on a cheesy motivational poster featuring a country road curving off into the sunset. So what does that mean for your budget? Keep setting up sinking funds to save for the things you want to have and the places you want to go. Then you can cash flow them! And keep paying down your debt so you can own rather than owe. But along the way, treat yourself (affordably)! Celebrate money goal milestones—even the small ones—and be thankful for each of them. We live in a fast-paced world, and getting caught in the hustle and bustle can wear us down or make us lose sight of the goodness all around us. Spend time in reflection and thankfulness for what you have. 7. If you fall down, get back up! No one is perfect. You will make bad money decisions along the way. Or life will hit you hard and knock you down. But don’t let your circumstances or mistakes take charge. When you fall, get right back up on that horse and ride it into your dreams! You can do this. You can enjoy the now and work hard for the future. You can appreciate what you have while striving for more. In the words of arguably the best 80s rock band of all time, “Don’t stop budgeting. Hold on to that feeling . . .” of winning with money. Okay, they didn’t say it, but we do. Keep up with your EveryDollar budgeting life on the glam and non-glam days—because all the days are important. And you know what? 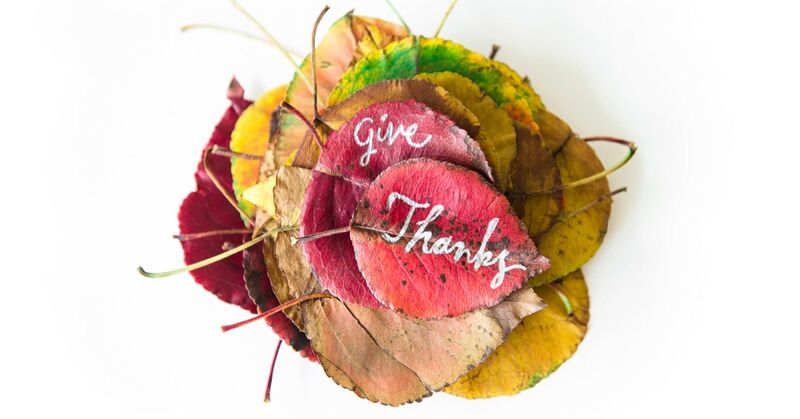 We’re thankful for you all year-round. We mean it. If you want more inspiration, follow EveryDollar on Facebook and Instagram! Get encouragement from fellow budgeters and your biggest fans—us. Create a free budget with EveryDollar!